Asset records for disposed items can be deleted as part of the End of Year process. 2. Deleting the Asset record. 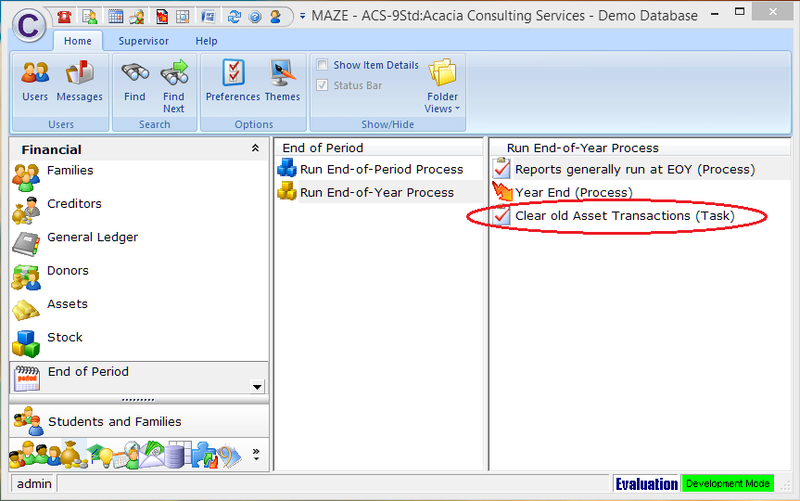 There is a Maze Task on the menu under Financial > End of Period > End of Year Process > Clear Old Asset Transactions (Task). This may need to be added to your Menu if it cannot be found. 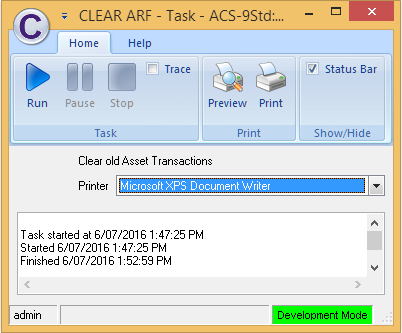 This task will prompt you for the types of Asset transactions you wish to clear out, and then delete those transactions if they relate to the previous financial year. Click OK to the following message. Click OK once you have taken a backup of your database. 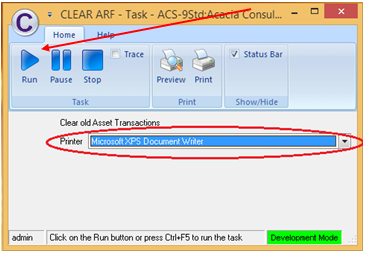 Select Y for all the options and then click OK.
A message will appear confirming the task has finished. You can now close the screen. Note: This task only deletes transactions from previous financial years. Note: If the asset has any current year transactions or is not flagged as Fully Disposed, then the asset cannot be deleted.